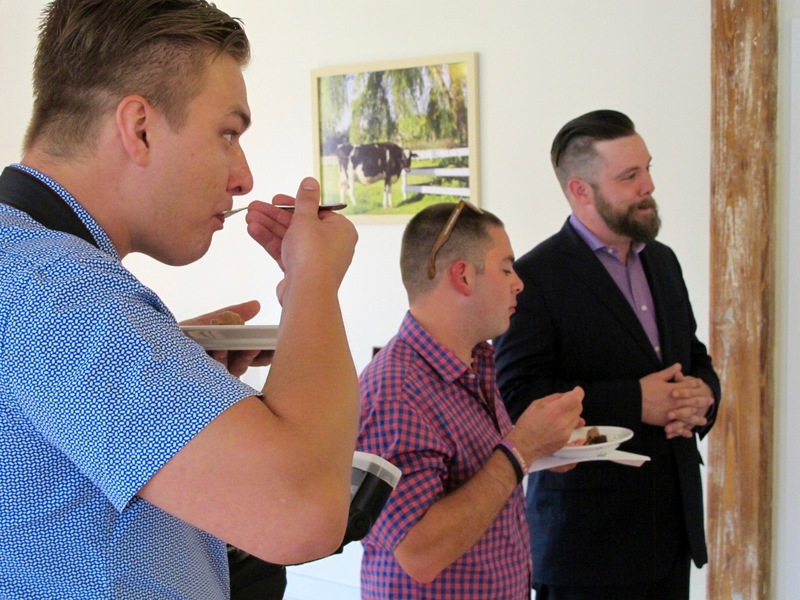 The “Three Blonde Mice” Book Launch = Fun! James Arena, the talented pastry chef at Litchfield County’s Arethusa al tavolo, the scene of my book signing on Saturday, August 6th, not only created a Dark Chocolate Marquise dessert especially for Three Blonde Mice (yes, the recipe is in the book), but he assembled a beautiful display of the dessert for everyone to drool over. 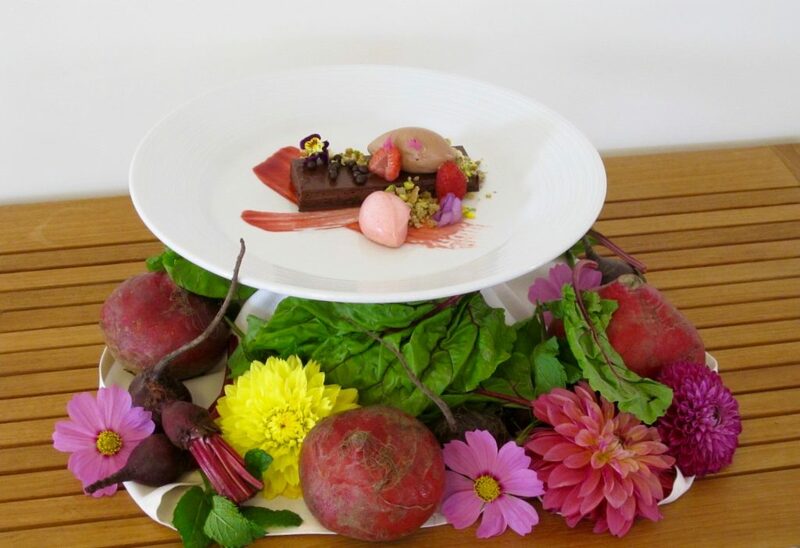 It’s a “farm to table” dessert in that its ingredients include both chocolate and beets, and there were also strawberries and pistachios on the plate on Saturday. It was truly to die for. For another look at the dessert, along with the book and Arethusa Farm napkins, behold. 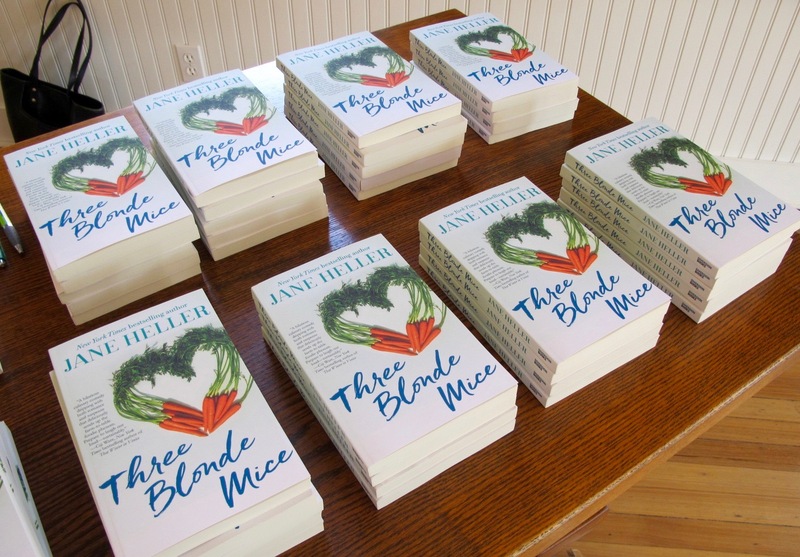 As for the signing itself, it was a thrill, even after 16 books, to see copies of Three Blonde Mice lined up on the signing table ready for me to personalize for guests. Thanks to Fran Keilty, owner of Hickory Stick Bookshop, for providing the books and being part of the fun. And guests we had – lots of them – even though the iffy weather forecast had forced us to abandon the restaurant’s lovely outdoor patio for their private room upstairs. I was so excited to see friends I hadn’t seen in awhile, and to meet and chat with those who were there simply to buy a book. I hope everyone who came gets a kick out of the story – a little light reading for late summer/early fall. To those who couldn’t make it up to CT for the book launch, you were there in spirit!